SS@SolidSignal asked me to write this article about my Unifi AP. It’s my first try at an article so bear with me here. I told him that I really loved it and he suggested that I tell you all about my story. I have lived in the same house now 15 years. When I got there, there was dialup in the house but I didn’t care because it was just fine. I didn’t actually use my computer much so I put it in one of the back bedrooms. Man that thing was HUGE right? But I didn’t care because I didn’t look at it right away. It was just maybe a year later that the phone company came to me and say they had !D S L! which was blazing fast! I signed up because I figured maybe I would use the computer a little more which I did. I dumped that AOL like a hot rock let me tell you and I got on MSN which was “real internet” and a lot better I though. Maybe a few years later they told me that they could give me DSL which was EVEN FASTER! and sure I said because by that time I was using the internet every day. And I was ADDICTED! I wanted to be on the internet all the time so I bought me a laptop. This was maybe 7-8 years ago. I didn’t know that you could put your DSL modem anywhere you had a phone line though. I bought a Wifi router and hooked it up in the back bedroom. It was pretty good wifi all through the house I guess. Then I got a SMARTPHONE a Blackberry with internet on it and I wanted wifi everywhere. The problem was that my wifi router was in the back bedroom. But I could use cell phone internet as a back up. I called the phone company to ask what I could do and they said YOUR IN LUCK there is really super super fast internet now it is called Fios and you can get it now! I said sure set me up. They came out and put one of their routers in place of my router. I sure was dumb though because I should have told them to put it in my living room. I never did get real good wifi in my living room. I tried a lot of stuff like some power line thing and I got a netgear thing that ampifies the signal too. It was ok and I lived wit it for a couple of years but I now had THREE different wifis in my house and sometimes the phone wouldnt jump to the right one. That is all over now. I got this from Solid Signal. 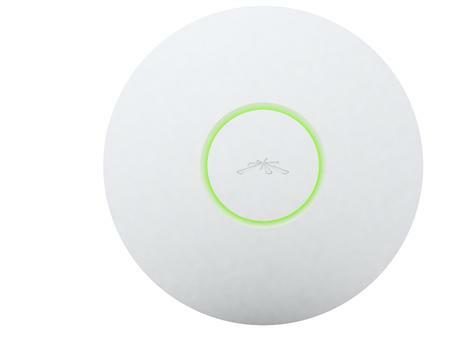 Ubiquiti UniFI AP Wireless AP/Bridge 802.11b/g/n (UAP) from Solid Signal and it solved all my problems overnight. It was SO EASY to hook up. First I turned off all my wifis. I unplugged all the extra stuff and then turned off the wifi on the Fios. (I had to ask someone how.) Then I plugged in the ubiquiti thing and connected it to the power over ethernet thing. I put the CD in my laptop and wow it was so easy! I found where you set the SSID. This is REAL IMPORTANT because if you set the SSID and password the same as your old wifi then you DON’T even have to change the settings on your phone or whatever! Like, BOOM it was done. I mounted it up on the ceiling, that was easy too and tacked the wire to the wall in the corner where you wouldn’t see it. And now I have wifi everywhere in the house and in the yard and even next door. I will have to even figure out if you can turn the power down because it’s halfway down the street now! Anyway thanks to Solid Signal for suggesting this product because it is really great and makes my life a lot easier! NICE AND EASY: What’s the difference between a router and a switch? I spent a week using only Microsoft Edge. Should you?